Happy Valentine's Day to all of my wonderful readers!! I do love that you all come to my blog to see what I have been drinking each and every night! Tonight marks a regular year of a cocktail every night, but wait......remember I said that I started this blog last year which in fact was a Leap Year? That's right, one more night after tonight and then my year long challenge will be complete. I found this recipe on facebook today. Hpnotiq had posted it and I thought I'd give their Harmonie another try. This cocktail is OK. If you don't know, I don't like Hpnotiq Harmonie as much as I like the regular Hpnotiq (the blue one). Actually I really like the regular one.......a lot. The Harmonie......not so much. Anyways, this cocktail is OK, I wouldn't order it at a bar and I wouldn't have more then one of them at home. At least it's a pretty color. In a shaker filled with ice, add all of the ingredients above. Shake and strain your cocktail into a martini glass. Happy Valentine's Day to you all. 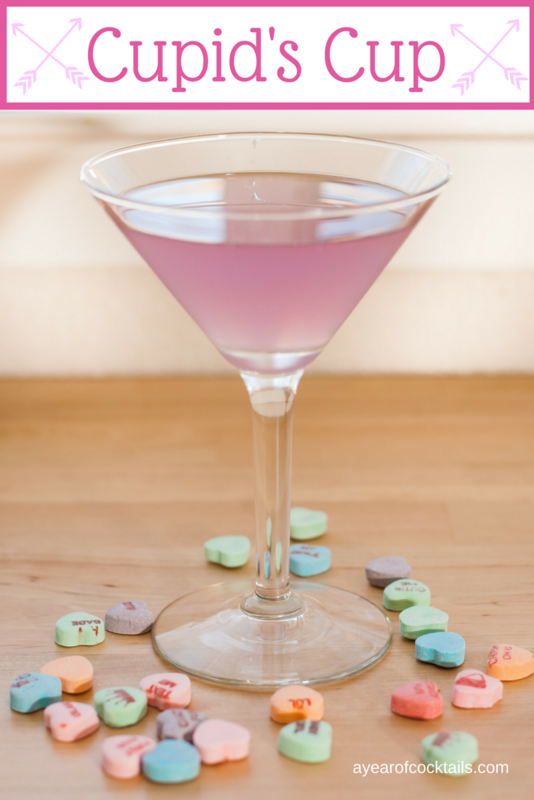 I really do appreciate you all coming to my blog and reading my daily cocktails. Here's to you!